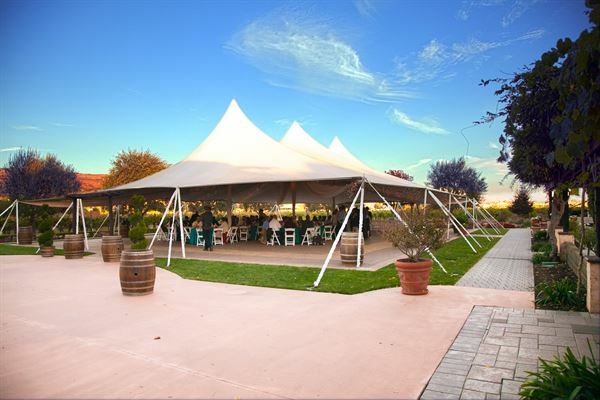 From our beautiful outdoor Villa Emile Event Center and Cobblestone Courtyard amongst the vineyards for large groups to the quaint indoor Historic Heritage Room for small to medium events, Guglielmo Winery has the perfect setting for your special party. Whether it's for a bridal or baby shower, an anniversary celebration or that special birthday party, one of our experienced Event Coordinators will help you create a memorable party for you and your guests to enjoy. Guglielmo Winery's Villa Emile Event Center is a perfect location to host corporate meetings, luncheons or dinners. The vineyard setting is also a wonderful venue to hold team building events, parties and a variety of other special events.